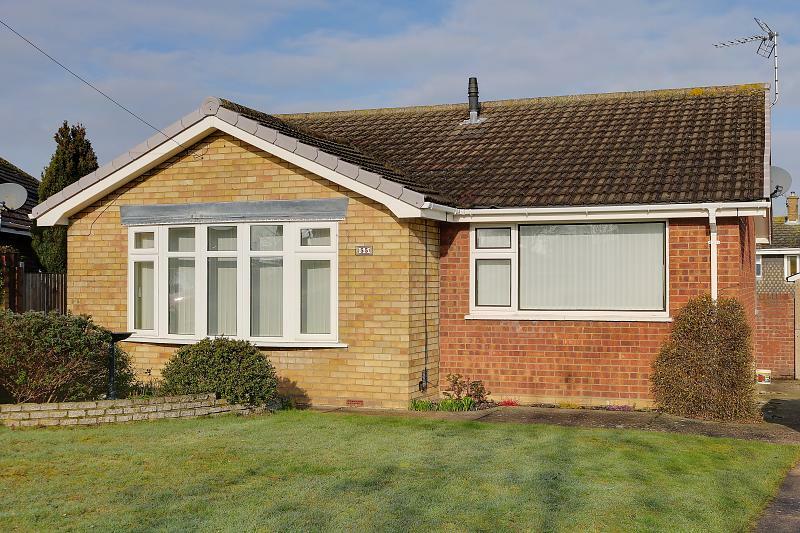 A well maintained good size detached bungalow pleasantly situated in this sought after North Oulton Broad location being within a short walk of all amenities including shops and bus routes and being within 1 mile of the centre of Oulton broad with its main line train stations, broads and leisure facilities. 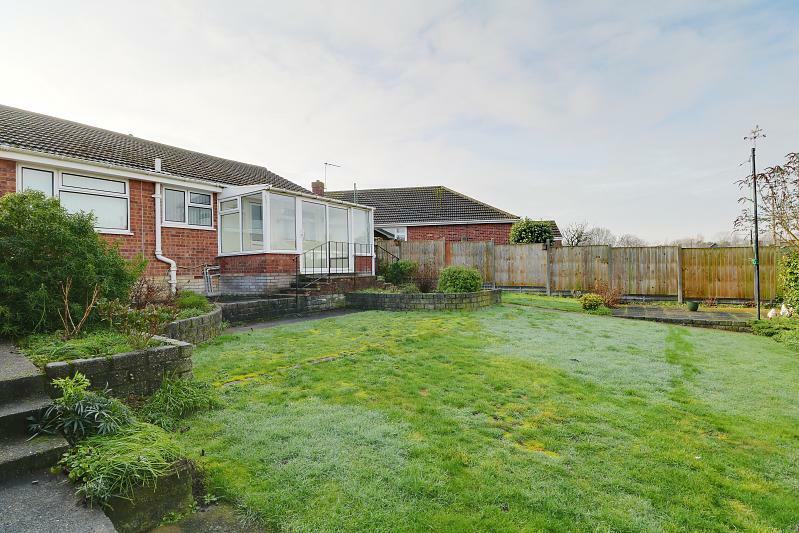 Offered in good order throughout the bungalow has gas central heating and sealed unit double glazing. 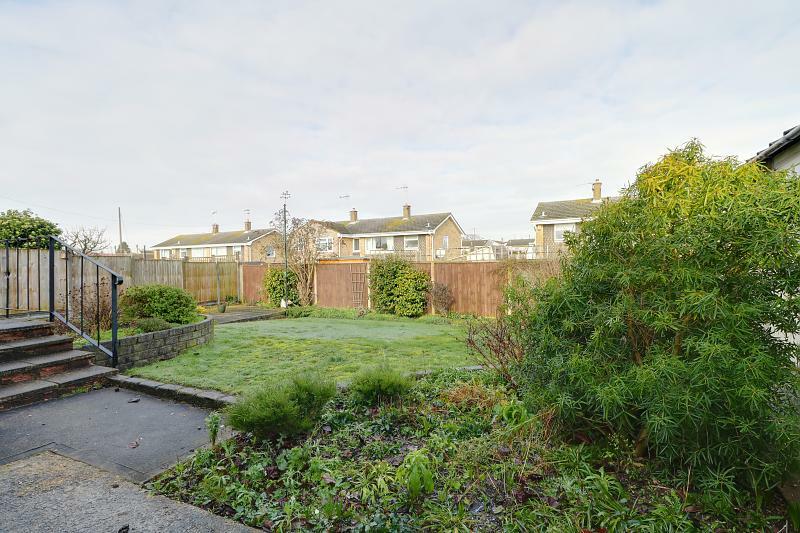 The spacious well planned living accommodation includes a good size lounge, fitted kitchen/diner, sealed unit double glazed conservatory, together with 2 double bedrooms and a quality fitted bathroom. 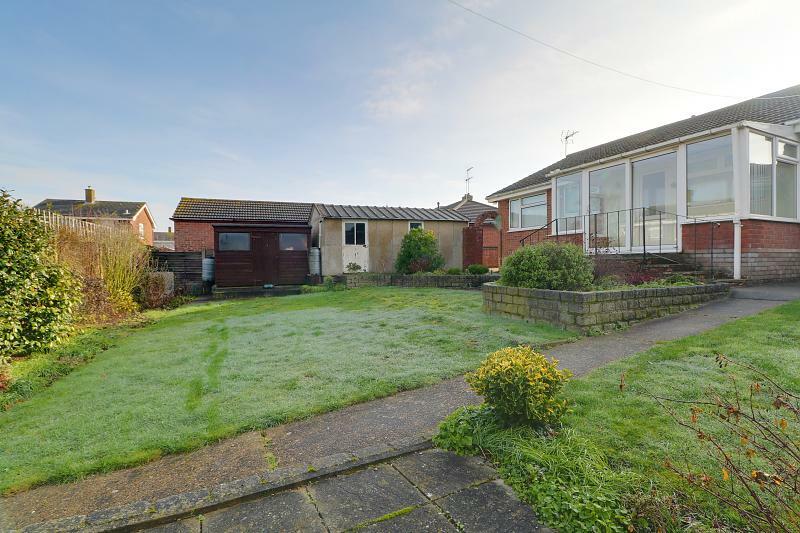 Outside the property is complemented by a lovely fully enclosed back garden, drive and garage. 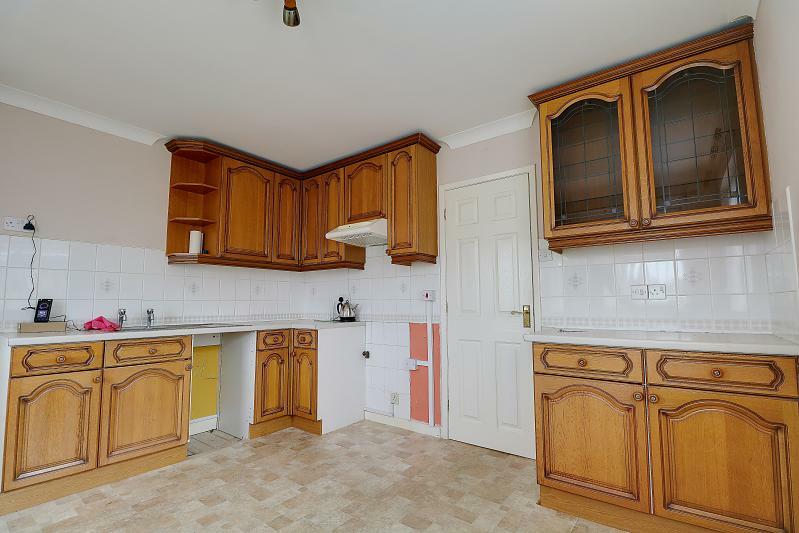 In all the perfect retirement home offered with no onward chain where an early internal inspection is highly recommended to avoid disappointment. 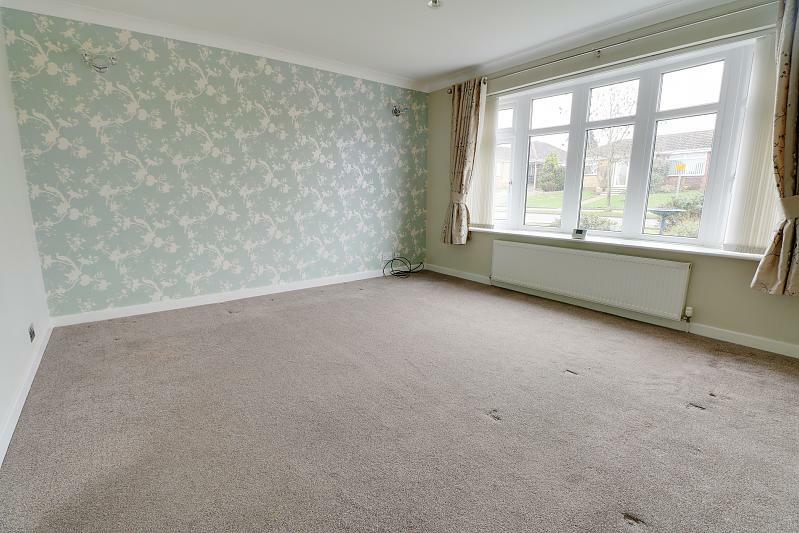 Carpet, power point, built-in airing cupboard housing gas fired boiler, access to insulated roof void, radiator. 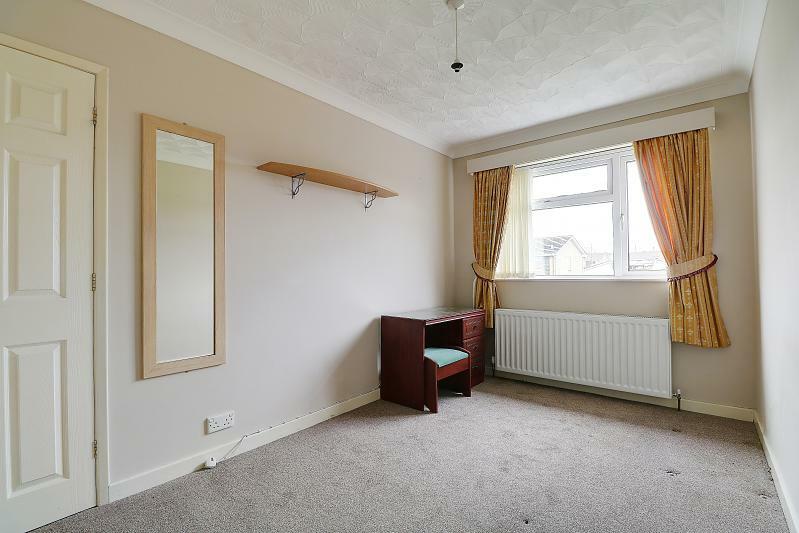 With large sealed unit double glazed bow window, radiator, power points, tv point, carpet. 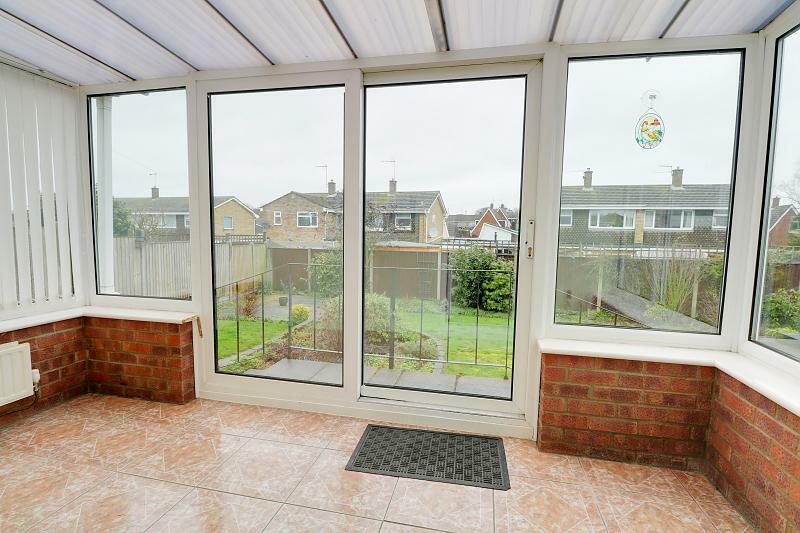 Sealed unit double glazed windows overlooking rear garden, matching patio door, radiator, power points. 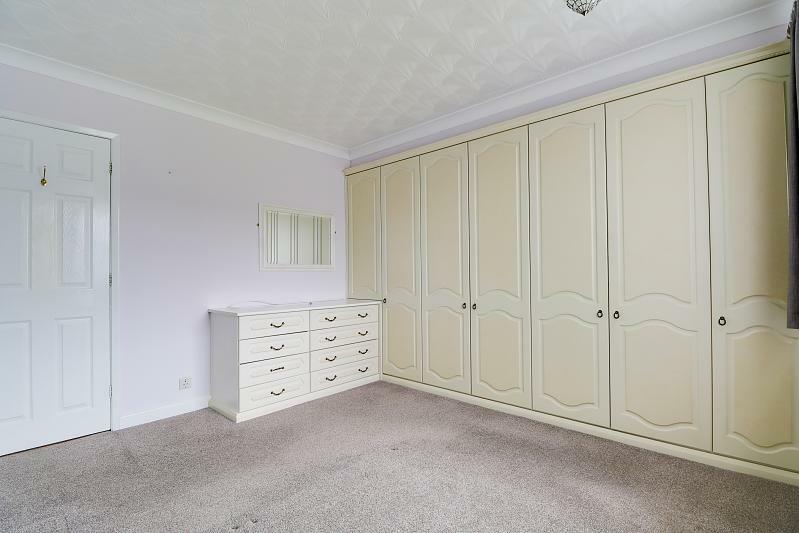 With range of fitted bedroom furniture comprising single and double wardrobes, matching drawer units, sealed unit double glazed window, radiator, power points, carpet. 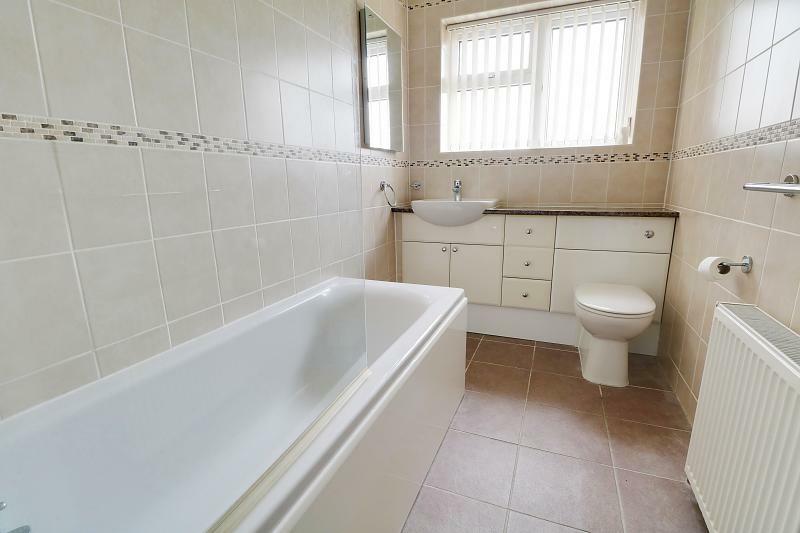 Attractive modern white suite comprising panelled bath with chrome shower over, vanity wash basin with cupboards, closed closet wc, fully tiled walls, radiator, sealed unit double glazed window, ceramic flooring. Wide open plan lawned front garden with path to front door, long concrete drive provides ample off road parking which extends to detached sectional GARAGE 18&apos;6 x 9&apos;3 with up and over door personal side door, light and power, Gate opens into most attractive larger than average fully enclosed rear garden with lawn, well stocked borders for shrubs and flowers, garden shed, paved seating area.